While spending a day at the Los Angeles County Museum of Art, stop by for a boutique coffee experience at C+M (Coffee and Milk). 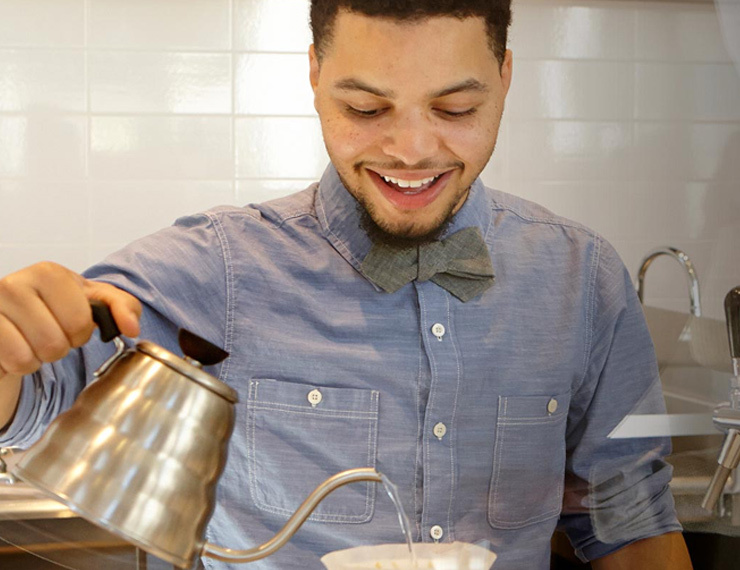 Our baristas artistically present Intelligentsia coffee and espresso, alongside seasonal sandwiches, organic milk sorbet and a variety of fresh pastries. Located near the museum store, we are surrounded by thousands of works of art and an art-making gallery for all ages. 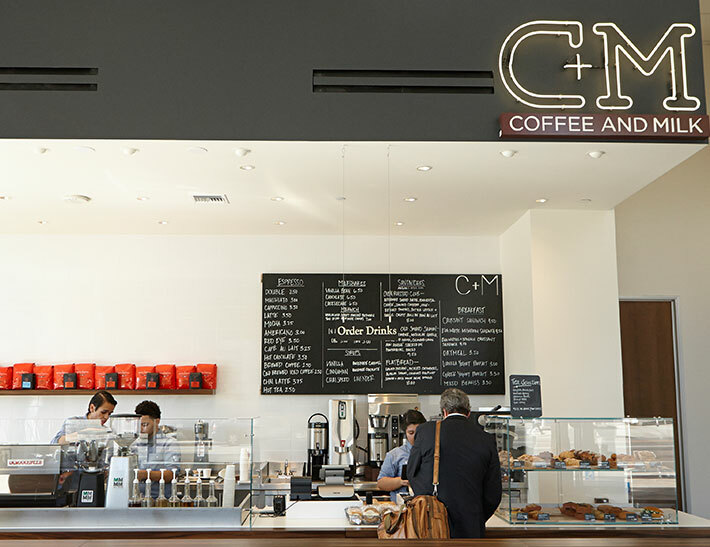 The café culture at C+M is a cozy blend of modern design and classic coffee shop, fitting for a day visit at LACMA. The largest art museum on the West Coast, the Los Angeles County Museum of Art (LACMA) is home to a collection of galleries and exhibitions that feature the expanse of art history. From ancient to contemporary, LACMA holds the talent of many renowned and upcoming artists. With a mission statement of serving the public through significant works of art from a broad range of cultures and historical periods, LACMA attracts a wide array of captivating audiences. As a vital part of Southern California, the museum brings in over a million visitors each year. LACMA is located on Wilshire Boulevard, C+M (Coffee and Milk) is located within the campus; ideal for a quick bite to keep you energized during your trip. C+M (Coffee and Milk) Westwood Gateway is a cafe in West Los Angeles, serving Intelligentsia Coffee, espresso, lattes and other specialty beverages. C+M (Coffee and Milk) War Memorial is a San Francisco cafe that serves Intelligentsia coffee and small bites for breakfast and lunch in Civic Center.